Corporates will soon be able to track their payments in real time as part of Swift’s global payments innovation (gpi) initiative – a function of the system that was previously only available to them through their banks. Over the coming months, Swift, together with 10 multinational corporates and 12 leading banks, will pilot what it calls an “enhanced multi-bank standard” for tracking payments, aimed specifically at bringing more transparency to multi-banked corporates. Swift’s payments tracker, which enables users to trace cross-border payments in real time, was rolled out in May last year. It came in response to a common complaint from Swift users about the lack of visibility on their payments status. Until now the tracker has only been available to banks, meaning that their clients have been dependent on them to monitor the status of their payments. “The unfortunate thing is that if you work with several banks you end up with several trackers,” Martin Schlageter, head of treasury operations at Roche, tells GTR. “For the initial setup within gpi, banks wanted individual trackers because they can build services around them. It means we would basically have a tracker for each and every bank that we are working with. This is highly questionable.” Roche, a Swiss multinational healthcare company, is among the firms taking part in the pilot. The aim is to start the live testing with two banks in September/October this year. The design for the system has been developed through co-creation workshops with pilot participants, which also include Airbus, Bank of America Merrill Lynch, BBVA, BNP Paribas, Booking.com, Borealis, Citi, Deutsche Bank, General Electric, IATA, Intesa Sanpaolo, JP Morgan, LVMH Moët Hennessy Louis Vuitton, Microsoft, National Australia Bank, Ping An Group, RTL Group, Sumitomo Mitsui Banking Corporation, Société Générale, Standard Chartered Bank and UniCredit. 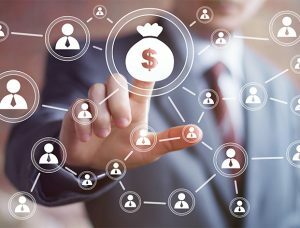 The new capability essentially means that corporates will be able to bypass their banks’ trackers and instead integrate gpi flows in their ERP and treasury management systems. It’s a function that will be particularly useful for companies that want to initiate and track gpi payments to and from multiple banks. When initiating a payment instruction with the gpi tracker in its current iteration, a bank includes a unique end-to-end transaction reference (UETR), which enables it to trace the payment. In the upcoming pilot, a UETR will be created for the corporate client, allowing the corporate to follow the payment in its own system, independently of its banks. Schlageter explains the typical payment process without a UETR: “If you send a message through the old process, you get an acknowledgement that the message is on its way, but then it’s a black box. When another bank or a supplier then has a question regarding this payment, you start sending emails to your bank, they contact the next bank in the chain and so on, and it can take weeks before you get a copy of the Swift message to realise that fees were deducted, or a payment got stuck or whatever. It’s cumbersome and not transparent at all. It really eats up resources.” “Corporates want to track payments in real time and get confirmation of credit to the beneficiary’s account,” says Swift’s global head of corporates Marc Delbaere. “This new multi-bank capability will enable that experience in a consistent fashion, across multiple banks and multiple corporates. Having this information instantly in the corporate treasury space is what corporate customers are asking for.” But the pilot is just “the beginning of a long journey”, says Schlageter at Roche, noting that it will take time to implement, and there will still be shortfalls: not all banks are live with gpi. Currently, of Swift’s network of 11,000 financial institutions, 180 banks have signed up. However, he is hopeful that the new standard will eventually make cross-border payments easier and more transparent for a company like Roche, especially now that Swift is making it mandatory to include a UETR in all payment instructions across the network from November. Swift also recently announced it is moving towards universal adoption of the gpi, which will see all banks on its global network use the service by 2020. “We will achieve full transparency of all our flows, so this is quite ideal,” Schlageter says. “Once we are live with this, it will change the nature of how we do cross-border payments and how much resources we have to put into supporting these.” He adds that the initiative is also of strategic importance to Roche. “It’s important that we can still rely on Swift as our central comprehensive payment channel. That’s why we have been pushing Swift to close this last hole, where they are really losing ground, because they were not living up to corporates’ expectations.” The post Swift opens up payments tracking to corporates: “The beginning of a long journey” appeared first on Global Trade Review (GTR).